At Maple Tree Cancer Alliance®, we are committed to improving the quality of lives of individuals battling cancer. To ensure our patients are receiving the very best palliative care possible, we have developed a solid research program aimed at studying the effects of regular exercise and proper nutrition in cancer treatment. Below is a list of recent publications produced by our team of researchers. Phase 1: Patients who are currently in chemotherapy/radiation. Phase 2: Patients who have completed chemotherapy/radiation, or only received surgery and/or hormonal therapy. Phase 3: Patients who have successfully completed phase 2. Phase 4: Patients who have successfully completed Phase 3 and are classified as apparently healthy. Each exercise intervention is individualized according to the patient’s health status and goals, and all sessions are completed one-on-one with an exercise trainer who holds a certification in Cancer Exercise Instruction. Phases are designed to last 12-weeks, with the exception of Phase 1, which may last longer due to treatment. All patients undergo a comprehensive fitness assessment at the start and completion of each phase, to measure changes in fitness parameters. Below are preliminary results from our Phase 1, 2, and 3 program completers. Phase 1 Program Completers from pre- post-exercise programming. Values are mean scores + SE, VO2 in ml/kg/min, Muscular Endurance in repetitions, Muscular Strength in psi, Flexibility in inches (n= 137). Phase 2 Program Completers from pre- post-exercise programming. Values are mean scores + SE, VO2 in ml/kg/min, Muscular Endurance in repetitions, Muscular Strength in psi, Flexibility in inches (n= 123). Phase 3 Program Completers from pre- post-exercise programming. Values are mean scores + SE, VO2 in ml/kg/min, Muscular Endurance in repetitions, Muscular Strength in psi, Flexibility in inches (n= 112). Wonders, K.Y., Stout, B. (2017). Pediatric Cancer Survivors. In Tech. ISBN: 978-953-51-3220-2. Wonders, KY (2013). Exercise Programming for Cancer Patients. Transworld Research Network. Kerala, IN. ISBN: 978-81-7895-581-0. Wonders, K.Y., Stout, B. (2016). The Role of Exercise in Chemotherapy-Induced Peripheral Neuropathy. Neurooncology. In Tech. Wonders, K.Y. (2015). A Comprehensive Fitness and Nutrition Plan for Cancer Survivors. In R Mohan (Ed. ), Cancer Treatment. Book 3. In Tech. Cancer Treatment. Book 2. In Tech. Reigle, B.S. & Wonders, K. (2008). Breast cancer in women and the role of exercise. In M. Verma (ed. ),Cancer Epidemiology. Totowa, NJ: The Humana Press. O’Malley, N., Stout, B., & Wonders, K.Y. (2018). The Effects and Efficacy of Exercise in Lung Cancer Patients: An Overview. Health Science Journal, 12 (2): 553. Wonders, K.Y. & Ondreka, D. (2018). Individualized Exercise Improves Fitness and Psychological Measures to a Greater Extent than Group Exercise During Cancer Treatment. Journal of Palliative Care and Medicine. 1(1): 1001. Wonders, K.Y., Ondreka, D., Wise, R. (2018). Supervised, Individualized Exercise Mitigates Symptom Severity During Cancer Treatment. Journal of Adenocarcinoma & Osteosarcoma, 3(1): 1-5. O’Malley, N., Stout, B., &Wonders, K.Y.(2018). The Effects and Efficacy of Exercise in Lung Cancer Patients: An Overview. Health Science Journal, 12 (2):553. Wonders, K.Y., Ondreka, D., Wise, R. (2018). Supervised, Individualized Exercise Mitigates Symptom Severity During Cancer Treatment. Journal of Adenocarcinoma & Osteosarcoma, 3(1):1-5. Wonders, KY& Stout, B. (2017). Formalized Exercise Program for Pediatric and Young Adult Cancer Survivors. Australasian Medical Journal, 10(9): 771-773. Wonders, KY, Spellman, C., Tse, L., Wonders, AW, Stout, B. (2017). Current trends in cancer support within the religious community. Journal of Nursing and Palliative Care, 2(3):3-7. Wonders, KY & Stout, B. (2017). Formalized Exercise Program for Pediatric and Young Adult Cancer Survivors. Australasian Medical Journal, 10(9):771-773. Wonders, KY, Stout, B (2017). Physical Activity and Nutrition Recommendations for Weight Management during Breast Cancer Treatment. Journal of Nursing and Palliative Care, 2(3):3-7. Wonders, KY, Stout, B., (2017). Potential benefits of yoga interventions for breast cancer survivors. Yoga Practice & Physiotherapy.J115. Stout, B., Wonders, KY, Crecelius, A. (2016). The development and feasibility of an at-home, internet-based exercise and nutrition education program in child cancer survivors. MOJ Clinical & Medical Case Reports. 5(4): 00142-00147. Wonders, KY, Stout, B., Ondreka, D. (2016). Group-based exercise improves fitness parameters in previously sedentary individuals with cancer. International Journal of Innovative Medicine and Health Science (7), 12-16. Wonders, KY, Stout, B., Ondreka, D. (2016). A model approach to group exercise in cancer survivors. Physical Medicine and Rehabilitation Research. Wonders, KY., Leedom, E., Sheets, M. (2016). Role of Nutrition and Exercise in the Prevention of the Onset of Cancer. Journal of Palliative Care and Medicine, (6) 1-4. Sackett, L., Nelson, M., & Wonders, K.Y. (2015). Randomized Controlled Trial on the Effectiveness of Yoga in Breast Cancer Patients Receiving Adjuvant Radiation and/or Chemotherapy Following Breast Surgery. Jacobs Journal of Cancer Science and Research, 1(4): 021-026. Robichaux, A.M. & Wonders, K.Y. (2015) Nutrition Intervention Strategies to Maintain Body Weight of Head and Neck Cancer Patients. Jacobs Journal of Physical Rehabilitation Medicine, 1(1):1-3. Moris, C. & Wonders, K.Y. (2015). Concise Review on the Safety of Exercise on Symptoms of Lymphedema.World Journal of Clinical Oncology, 6(4):43-44. Wonders, KY (2014). 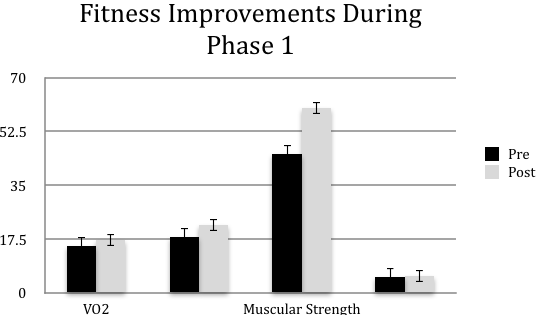 The Effect of Supervised Exercise Training on Chemotherapy-Induced Exercise Training. International Journal of Physical Medicine and Rehabilitation. 2:(4) 210-215. Wonders, KY, Bergman, D., & Drury, DG (2014). An Investigation of the Maxagrip Handle Design on Muscular Strength and Gripping Comfort: A Pilot Study. Journal of Exercise Physiology, Online. 17(3):46-57. Wonders, KY, Whisler, G., Loy, H., Holt, B., Bohachek, K., Wise, R. (2013). 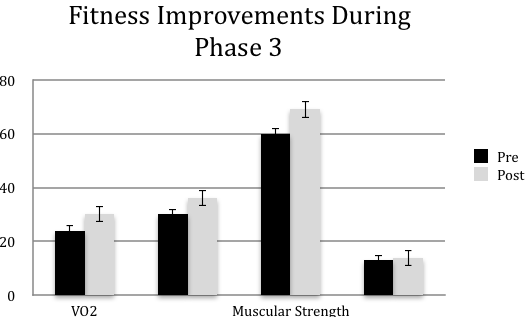 Ten Weeks of Home-Based Exercise Attenuates Symptoms of Chemotherapy-Induced Peripheral Neuropathy in Breast Cancer Patients. Health Psychology Research Journal, 1(3):149-153. Wonders, KY, Loy, H., Holt, B., Bohachek, K., Wise, R. (2013). Examining the Relationship Between Physical Fitness and Spiritual Fitness in Cancer Patients. World Journal of Translational Medicine, 2(2): 22-26. Wonders, KY & Drury, DG (2012). Current exercise behaviors of breast cancer patients diagnosed with chemotherapy-induced peripheral neuropathy. Journal of Integrative Oncology, 1(1): 103-107. Wonders, KY. Reigle, BS, & Drury, DG. (2010). Treatment strategies for chemotherapy-induced peripheral neuropathy: Potential role of exercise rehabilitation. Oncology Reviews, 4(2): 117-25. Wonders, KY & Drury, DG. (2010). Orthostatic-induced hypotension attenuates cold pressor pain perception. 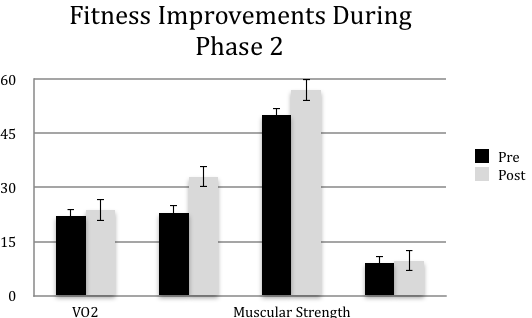 Journal of Exercise Physiology, online, 13(1): 21-32. Orlowski, M., Husain, M., Wonders, KY, & Hallam, JS. (2010). The relationship of beliefs and access to mammography history in low-income women. The American Journal of Health Studies, 25(2): 78-85. Hydock, DS, Wonders, KY, Schneider, CM, & Hayward, R. (2009). Voluntary Wheel running in rats receiving doxorubicin: effects on running activity and cardiac myosin heavy chain. Anticancer Research, 29(11): 4401-7. Wonders, K.Y, Hydock, D., Greufe, S., Schneider, C., & Hayward, R. (2009). Endurance Exercise Training Preserves Cardiac Function in Rats Receiving Doxorubicin and the HER-2 Inhibitor GW2974. Cancer Chemotherapy and Pharmacology, 64(6): 1105-13. Wonders, K.Y., Reigle, B.S. (2009). Trastuzumab and Doxorubicin-Related Cardiotoxicity and the Cardioprotective Role of Exercise. Integrative Cancer Therapies, 8(1): 17-21. Wonders, K.Y., Hydock, D.S., Schneider, C.M., Hayward, R. (2008). Acute exercise attenuates doxorubicin-induced cardiac dysfunction. Integrative Cancer Therapies, 7(3): 147-54. Drury, D.G. & Wonders, K.Y. (2008). Unmasking pain. NATA: Training & Conditioning, 18(4): 51-7. Wonders, K.Y., Hydock, D.S., Hayward, R. (2007). Time course of changes in cardiac function during recovery after acute exercise. Applied Physiology, Nutrition, and Metabolism, 32: 1164-9. Hydock, D.S., Wonders, K.Y., Schneider, C.M., Hayward, R. Endurance training protects against androgen deprivation therapy-induced cardiac dysfunction. (2006). Prostate Cancer and Prostatic Disease, 9(4), 392-98. Wonders, K.Y.,Oostveen, A., Wise, R., Ondreka, D., Seitz, T. (in press). The Role of Prescribed, Individualized Exercise in Attenuating Sleep Disturbance and Deprivation During Cancer Treatment. Sleep Medicine and Disorders: An International Journal. Wonders, K.Y., Wise, R., Ondreka, D., Gratsch, J. (in press). Cost Savings Analysis of Individualized Exercise Oncology Programs. Integrative Cancer Therapies.